Microbes are everywhere! They are part of every ecosystem in the world. They are on and in every organism. There are BENEFICIAL microbes in food, but many cause spoilage or can cause disease. Plastics, unfortunately, like microbes, are everywhere around us. Read on to find out some of the most fascinating novel techniques used against the bad bugs in our food, which can also serve to reduce the waste of food and materials! Microscopic organisms (bacteria, fungi and microscopic insects) are used to create tasty foods and beverages for almost as long as humanity exists. Bread, yogurt, cheese, pickles, beer, and wine are just a few of the joys in life we wouldn’t have today if it weren’t for microbes. This Wikipedia page contains a list of microorganisms and the foods they are used in. Did any of these surprise you? Three key events need to happen for bad microbes to cause spoilage of foods or illness in the consumers. First, the right species of microbe needs to find itself on its preferred type of food. Then, the conditions of the environment need to be favorable for them to grow. Last, the contaminated food needs to be eaten by the consumer. Food-borne illnesses can cause different symptoms. They can vary from mild discomfort, to severe food poisoning when pathogens can seriously harm the health of the consumer. They can even be deadly. The Center for Disease Control estimates that each year 48 million people get sick from a food-borne illnesses, 128,000 are hospitalized, and 3,000 die. Both a huge scientific community and a mountain of regulatory frameworks have been established for decades to help study and limit the spread of such microbial diseases. How to protect yourself from food-borne disease? There are few major and simple ways to protect food and ourselves from bacterial/pathogen contamination, and The World Health Organisation overviews them in this simple infographic. The University of Michigan (MSU) has created an incredibly detailed history of food-borne illnesses and it is fascinating! Follow this link for the MSU webpage. What is the role of food packaging if food preservation? We often think of food packaging as a way to help keep items contained until we bring them home for simple convenience. Or even worse – as a bunch of needless plastic, nylon, and cardboard whose only faith is to turn to a pile of trash once we put away our groceries. Here are a few horrible examples of wasteful food packaging (my personal worst are the boiled, peeled eggs!). Do you know of more from your local stores? Paste a picture in the comments below! A scientific article, published from the Food and Drug Administration in the USA in 2011, reviews several new methods based on silver nanotechnologies used in food packaging for antimicrobial protection. Several patents exist for smart materials which limit the access of air, water and bacteria, in order to protect the food. Silver is well known for its antimicrobial properties. It is highly toxic to bacteria, because it binds to many components of the cell and can disrupt the microbial metabolism and end up killing them. At the same time silver has no negative health effects for humans. So even if you end up consuming some of these nano-particles by contact of your food with its packaging, you’d be safe. That’s why silver is incorporated in a number of materials used to create smart food packaging. 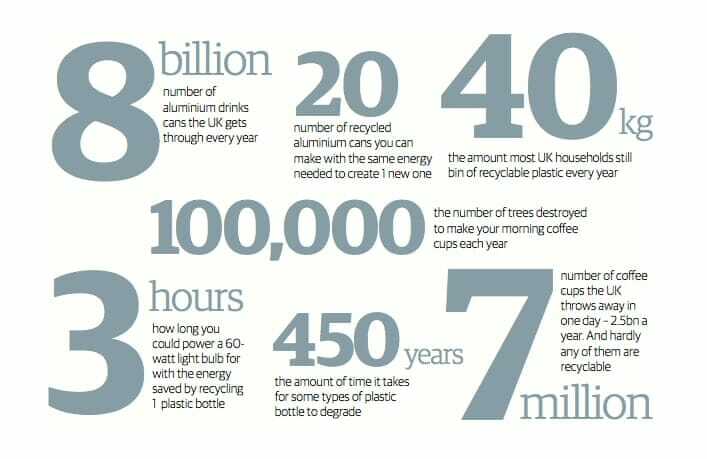 This Guardian article has interesting stats on how big of a problem waste from food packaging is today. The truth is that packaging, when used right, can do a lot to extend the shelf life of food, by reducing spoilage. It can also protect consumers from diseases. And instead of being an environmental burden, it can serve as a smart barrier and a tool for consumer safety. Using nano-particles coated with silver and incorporating them in food packaging can limit the bacterial growth on foods and can reduce drastically their spoilage and the food waste. The FDA estimates that 40% of the food (worth $162 billion) in the USA is not consumed every year. Any reduction of this waste is a step in the right direction. If the packaging used for foods and beverages is by default better equipped to prevent spoilage, this automatically means that less will be necessary for each product. Safe storage and transfer from the production site, through the store and to the table/fridge, will require less packaging. 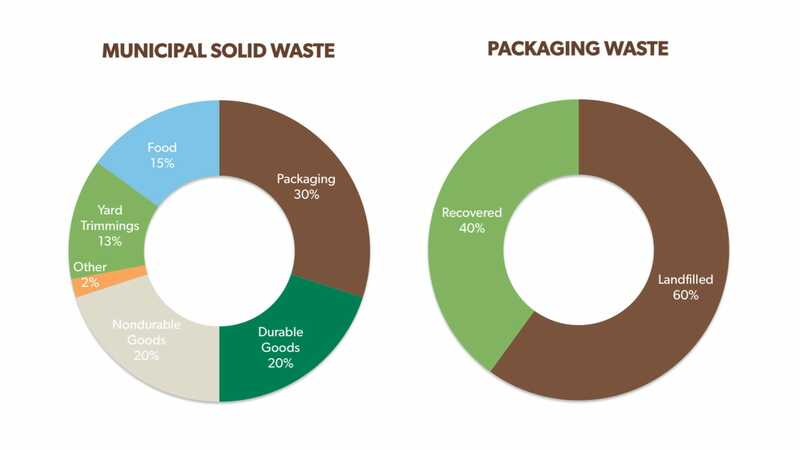 This means less packaging waste in landfills, rivers and oceans. Resistance building and consumer safety? I (and many others) wrote before about antimicrobial resistance and how it occurs when antimicrobials are used. So naturally, the question comes up – can bacteria develop resistance to silver too? A scientific paper published in the Journal Nature, shows that some bacteria can develop resistance to silver from food packaging, if exposed to concentrations insufficient to kill them. This means that, like everything else, such tech should be well tested and optimized before using it, to avoid negative effects. Before we get to the point when new generation nano/high-tech packaging materials will completely replace the old ones, there is plenty we ca do to reduce our individual food and packaging waste. planing dinners for the whole week. That way, for our weekly shopping we buy the food in quantities and varieties we’d need to cook that food plan only. Even if sometimes the plan changes, we noticeably reduced our food waste. using reusable bags made of fabric mesh to pick loose fruits and veggies from the store instead of plastic bags. That way we can wash them and also, not keeping the fresh produce in closed plastic bags often prevents them from rotting super-fast. take leftovers for lunch the next day – it’s also a money saver. What do you do to reduce your food and packaging waste?